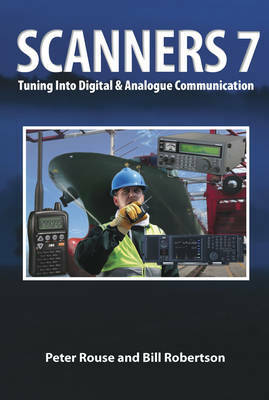 The 'Scanners' series of books have been consistent bestsellers, being the UK's leading guides to receiving equipment employed by enthusiasts to monitor the short wave and VHF/UHF wavebands used by airfields, maritime and rescue services, and analogue and digital two-way private mobile radio systems. This new (seventh) edition covers the rapidly increasing trend towards digital two-way radio communications and the latest handheld and mobile/base scanners with some digital modes fitted. It has been fully re-written and updated to include the latest UK radio frequency listings and call signs for airports, maritime and emergency services and other professional organisations. The book covers the latest shifts in the hobby towards digital and PC- and tablet-controlled radio technology and illustrates the very latest commercial radio scanning equipment and accessories. Included are details of an increasing number of 'apps' for smartphones specifically for radio data decoding, including programs for digital scanner communications decoding for which a smartphone can be linked to an existing scanner radio to decode. Other innovations include TETRA as used by police, ambulance, fire and rescue services, and DMR modes such as Mototrbo. It is predicted that by 2016, fifty per cent of two-way radio communication in the UK will use digital modes.